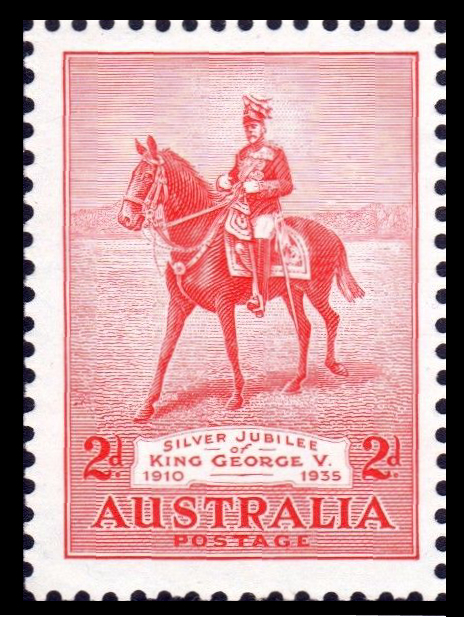 Australian stamps used to feature identifiable individuals only if they were royal, dead, or both. In 1996, the rules were loosened in pursuit of a dollar, and Australia Post began featuring living notables. Identifiable horses didn’t have to be dead; historically, they were either royal, or retired from racing duties. 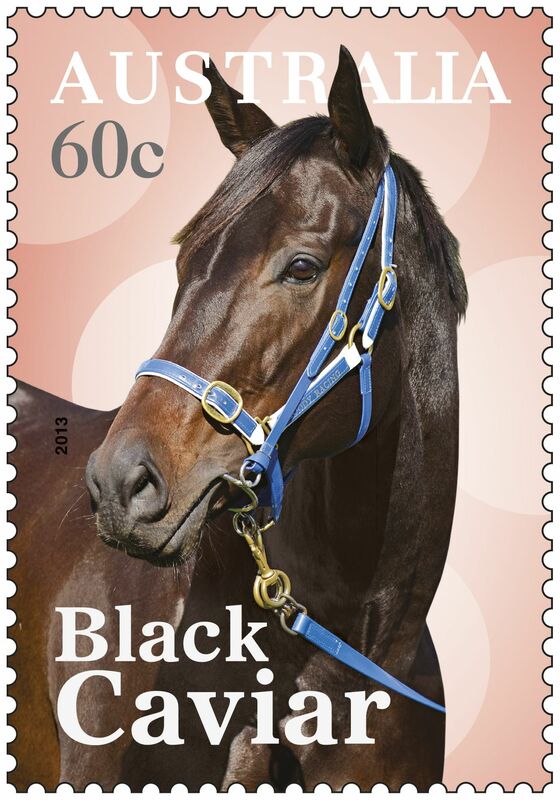 When champion mare Black Caviar was retired in April 2013, undefeated in 25 starts, Aussie Post set a track record, rushing out a tribute stamp (and a range of contrived collectables) less than a month later. This year, Aussie Post has gone one furlong further, jumping aboard champion mare Winx while she’s still running. Her 26th consecutive win broke Black Caviar’s streak. It’s a marvellous achievement, and a classy stamp. And yet, it speaks sadly to me of a post office so starved of revenue that national dignity and a thoughtful stamp-issuing policy now run second to the headlines in the sport pages. See also: Australia wins the Ashes 2007, 2014; Olympic/Commonwealth Games medallists (every other week, it seems). I’m no purist. I’ve applauded (some) recent pop culture issues as fusty types huffed. Accessible and appealing themes are important. But a running commentary on a sporting career while it’s still happening? Too soon! Winx isn’t finished. When she retires, or cracks a leg bone and is promptly shot, surely Aussie Post will struggle to resist a further commemoration. Then we’ll have honoured a racehorse twice more than we have Sister Elizabeth Kenny. (Google her.) Too bad, Lizzie. Less curing polio, more Group 1 wins. 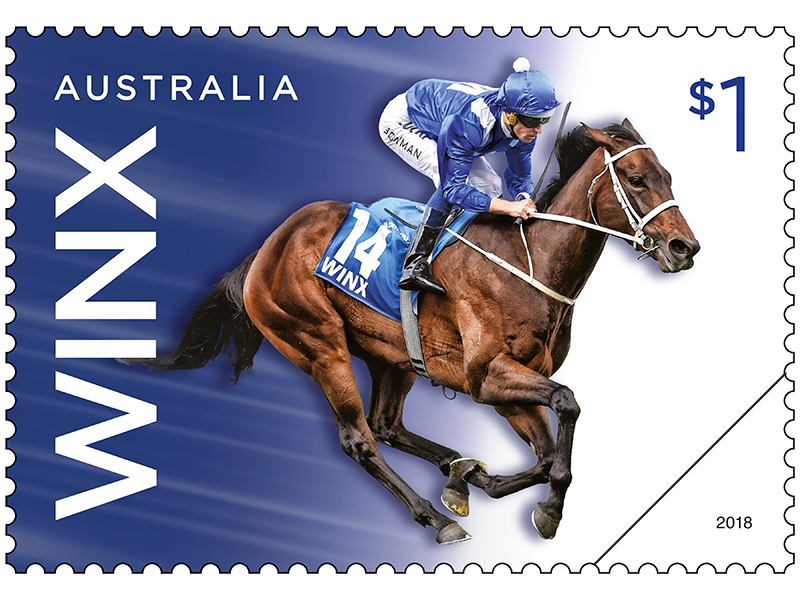 At least there’s zero chance of Winx disgracing herself, rendering this stamp a permanent national embarrassment. As several nations have already discovered, that time bomb is put in place whenever a living person appears on a stamp. Luckily for this nation, Australians never disgrace themselves. Read more biting stamp comment on the Punk Philatelist blog. Don't miss our growing archive of guides to Australian stamps.